Washington state possesses some of the most beautiful natural landscapes and urban skylines in the United States. The Evergreen State is a playground for lovers of the outdoors: temperate rainforests give way to dramatic coastlines; mount rainier looms authoritatively above the horizon. Seattle is the largest city in the state and it offers the finest in arts, entertainment and food, and now the marijuana industry is staking its claim statewide with Washington marijuana jobs. Because Seattle is by far the largest and most popular city in Washington state, an abundance of Seattle marijuana jobs have sprung up literally throughout the Emerald City. Like fellow recreationally legal state Oregon and medically legal California, Washington is another west coast wonder for marijuana users internationally, drawing in masses interested in experiencing and perhaps, working for the marijuana industry. For years, the state has hosted the most attended marijuana “protestival” called Hempfest, which “began in 1991 as the ‘Washington Hemp Expo’ and has drawn larger and larger crowds with each passing year. Recreational legalization has further stimulated the tourism industry; high taxation facilitates statewide economic growth and individuals who have long used cannabis products for recreational and medical purposes now have greater opportunities for employment. Washington marijuana jobs run the gamut, as the industry opens up opportunities in virtually every job sector that can assist with growth, maintenance and sale of cannabis products. Aside from growing, trimming, or budtending, Washington marijuana jobs range from managing social media accounts for dispensaries, professional journalism and reviewing for marijuana specific publications, artisan glassblowing and skilled craftsmanship, legislation and IT, just to name a very few. It seems that the “secret” of getting into the cannabis industry is first and foremost being aware of all the possibilities that can be made available to suit your specific skillset. For those dead set on achieving employment in a hands-on position, budtending and trimming are the go to Craigslist inquiries for curious job seekers with a passion for cannabis but with no previous history in marijuana employment. Similar to other service industry positions, dispensaries experience high turnover rates in entry-level employees. This generally varies from business to business, but as a whole, length of employment for budtenders or receptionists is less than, say, that of a master grower at a high volume farm. Dispensaries hire periodically and seasonally for part and full time positions in budtending, reception, security, management, marketing and growing. 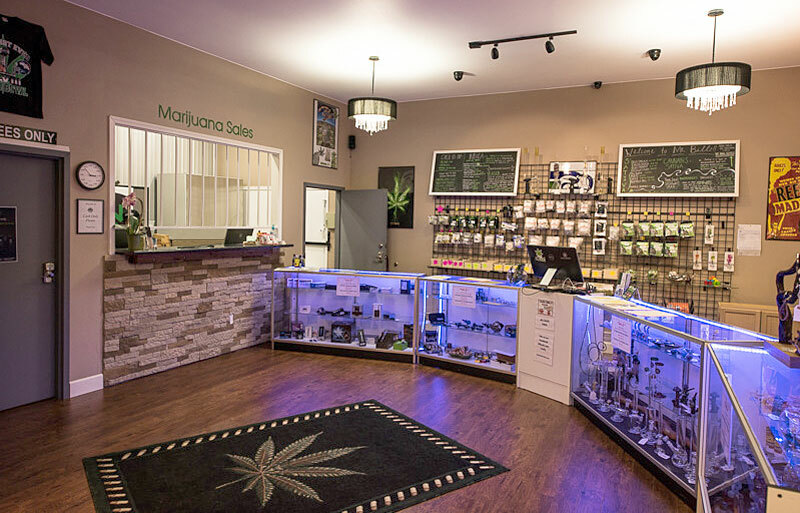 Dispensaries are team environments that thrive on effective customer service, relying on all the cornerstones of working for a business that profits on retail sales to consumers. What you choose to define as a “marijuana job” might be different than what Washington State deems one to be, but it is valuable to be aware of opportunities in cannabis legislation, licensing and more. The Washington State Liquor and Cannabis Board offers a “Career Opportunities” page on their website that lists available positions surrounding cannabis regulation and enforcement. Not surprisingly, as the cannabis industry has grown in Washington, a need for Cannabis Board jobs has followed suit. Web developers and entrepreneurs are capitalizing off the necessity for informative, helpful web content. Success stories like Leafly, which is headquartered Seattle, have revolutionized consumers’ ability to find dispensaries, acquire useful information on marijuana and the legislation surrounding it. Additionally, sites like Weed Maps have similarly compiled data to bring dispensaries and customers closer together. As cannabis delivery becomes more popular, the web will surely be brimming with apps and sites that make it as easy as possible to acquire cannabis, without leaving the comforting blue light of your device. As I mentioned above, tourism is a major player in Washington’s cannabis related economic development. Cities like Seattle and Olympia already draw art, sports and culture enthusiasts and now, a healthy demographic of visiting cannabis users. Companies, like Kush Tourism take advantage of all aspects of the industry with dispensary and garden tours. They also team up with hotels, restaurants and other businesses to offer cross promotional opportunities that stimulate local economy as a whole. While Washington’s unique climate does offer lush foliage, it unfortunately does not offer ideal outdoor growing conditions for most marijuana plants. This is not to say that there aren’t any growing opportunities throughout the state, however, odds are these positions are either small to large scale indoor growing operations. Most outdoor growing, especially in large scale farms, takes place throughout California and in parts of southern Oregon. Trimming jobs are sporadically available in Washington, but once again are most popular in California during late summer through mid fall. For aspiring writers and other creatives, successful and often profitable cannabis themed publications offer a dream job for stoner-writers around the country. Don’t take this to mean that these publications are lazily built or maintained, or that the contributors aren’t serious about what they’re putting out. Magazines like Culture and Dope successfully integrate strain reviews with lifestyle and entertainment sections that welcome the integration of cannabis in popular culture. It would prove nearly impossible to pin down all the possible Washington marijuana jobs, because the cannabis industry has become so intertwined within mainstream culture that more and more positions are opening up. Whatever Washington marijuana jobs you do choose to pursue, be sure to be up to date on any and all local and statewide legislation and regulatory information. In some states where marijuana is medically and/or recreationally legal, the governing body allows smaller municipalities to decide for themselves if they would like to participate or opt out in certain open parts of marijuana law. Lastly, don’t forget to help educate friends and family as you learn more about the cannabis industry through your research!